There are hundreds of websites out there waiting to print your business card. 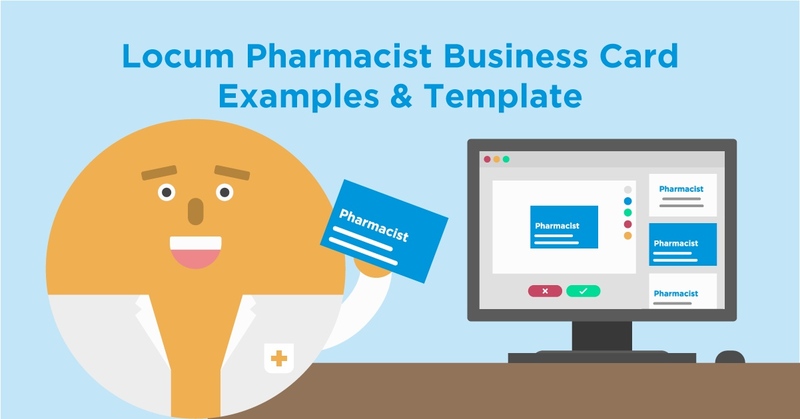 But what should a pharmacist business card look like? And what information should it display? Here is our guide to crafting yourself the perfect business card. Your name should be the most prominent information on the card. So, either try a bold typeface or a larger font to help it stand out. Including only one contact method makes you look aloof. Too many and you may come across as desperate. So stick with your preferred method plus one or two others. You can include your website’s URL as a contact method too. Pharmacy accreditations and abbreviations Your pharmacy accreditations help you stand out so display them with pride. Website If you run a website for your business as a locum pharmacist you can add the URL to your card. It’s acceptable to drop the “www.” especially if it avoids your card looking busy. Social media profile LinkedIn is by far the best choice. It shows that you are a professional plus that you are an active member of the pharmacy community. Locate a Locum Why not show that you are available to hire through Locate a Locum? The overall look of your business card is entirely up to you but it should reflect how you wish to be viewed by your peers. Using graphics, images and colour can help your business card stand out. But keep your ideas classy as you want to stand out for the right reasons. Or, if you prefer to keep it strictly business, a text-only business card is just as acceptable. A clean and minimal design in a classic typeface will bring an elegant appeal to your email address.